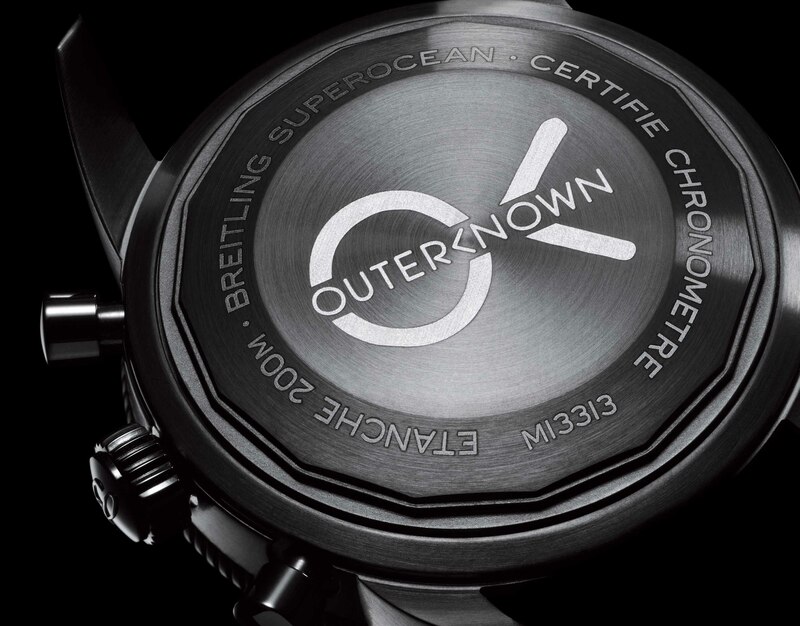 We caught up with surfing icon Kelly Slater in New York during the launch of the Superocean Heritage II Chronograph 44 Outerknown watch, the result of a year-long collaboration between his clothing brand Outerknown and Breitling. Read our full interview below. Men’s Journal: How did you team up to make this watch happen? Kelly Slater: Breitling contacted us [Outerknown, the clothing brand Slater co-founded in 2015] about a year ago to talk about this idea and putting together a group of a squad with [pro surfers] Stephanie Gilmore and Sally Fitzgibbons, who are both long-time friends of mine. 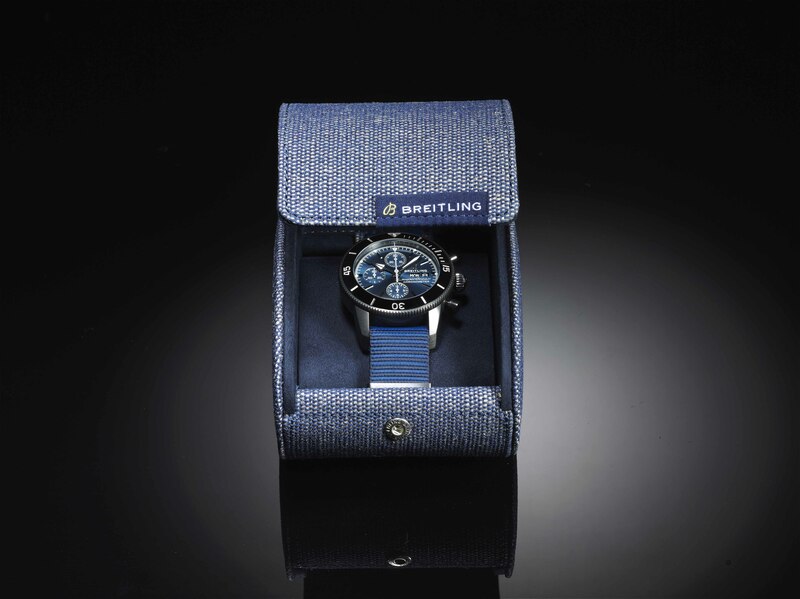 Breitling really wanted to represent what we mean to our sport, and give us the opportunity to include Outerknown by letting us design the watch bands. So what’s unique about the band? It’s made with Econyl, a yarn made with recycling fishing nets pulled from the ocean and then re-spinning back into a threading. We’ve created jackets that use it so the whole thing can be recycled. That was part of our beginning and why we launched the brand. You’ve made your own surfboards and wave machines, so what made you get into clothing? I just knew that something smelled a little fishy in the way clothing was made, so to speak. There was an epiphany moment. I was doing a fast for six days, I was just drinking water and about four or five days into that, I had just the clearest thoughts ever. I thought I’ve got to find out where our clothes are made when I was with another clothing company. I’ve got to find out who makes the clothes and where they’re made and what goes into it, and I need to know that whole thing because it’s provided me with so much in my life and I don’t know really anything about it. So, I started asking questions and I started getting roadblocks. This sounds like a conspiracy theory. You’d think for a clothing brand co-owned by a world-famous athlete, your photo would be plastered all over the website. But it’s not. So are you adding clothing designer to your resume? Well, the Apex Trunk is probably my signature piece because that’s what I live in. I worked on all aspects of the design on that trunk, but I don’t have the time to go in there and work on everything. I’m happy with it being tied to me saying the Apex predator. To me, I want to be a great white shark. When I compete, I want to be that top guy. It’s surprising that it’s not all neon though—when I was a kid everything on my surfboards was all orange and green. I read that if you compete in the 2020 Tokyo Summer Olympics, it might be your last competition? Yes, I wouldn’t say it would be my last event. I’ll probably still surf events for five years after I compete here and there. But I’m looking at potentially next year being my last full-time competitive year. And if I made the Olympics, then I would probably still compete somewhat consistently in the beginning of that year 2020, just to keep myself fresh and alert on how I need to compete, so I won’t be nervous at that time. What does it mean for surfing to make it into the Olympics? I can clearly see either side of it. I could be totally fine without surfing in the Olympics and I can be totally behind it as well. I see the benefit of it, and I also see that we do have a world tour that determines the best surfer in the world each year over the course of a whole year and all different kinds of conditions and I think the best surfer of the year ends up being a world champion. The pressure that’s put on the Olympics, I think, is really going to make the cream rise to the top, because you’re going to have to be just so confident in your game and what you’re doing, and decisive about that on that day, that somebody who is just a natural is going to win that thing. You’ve been known to chase waves around the world. How do you pinpoint where the surf’s going to be? When I first started, I had no idea. I would wake up in the morning when I was a little kid I’d take the wax off my board and my friends and I would ride our bike as fast as you can down to the beach. And most days in Florida it was nothing. As a kid, I didn’t know what made waves, I just knew that sometimes I’d wake up and the waves are big, and the wind is good. Then as a teenager, I meet a guy named Sean Collins who had a thing called Wave Track, which turned into what is now probably the biggest surf forecasting site in the world called Surfline. I was good friends with him from the time I was about 13 or 14, and he used to show me swell maps and how he would get weather maps from, say, Australia in June and July. He would be able to read what the storms are doing near New Zealand and he would know 10 days later those were going to hit the California coast. So he would have a good idea of size and interval. And then you look at local wind charts to see how it’s going to be affecting the local conditions. I started to learn this stuff as a kid and then, through the websites and the apps that those guys have created over the years, it’s basically almost like you can self-teach any of this stuff. You go look at it and you get a good idea about how it works. But luckily there are still a few secrets about how to read them, because I love to go to Fiji and some of the websites will give an incorrect forecast and people don’t understand how to read it. If you know how to read it, it’s really obvious. Once you hang up surfing competitively, what will you be doing? I would say for probably a year or two I’ll travel more than I do right now. More short [surf] trips, just strike missions, like chase a swell. Right now I’ve been injured for the last year and a bit so I haven’t traveled, I haven’t chased a lot of swells down. But when I’m done competing full-time I’ll just have my eye constantly on what the ocean is doing around the world, and if I see a good swell in Namibia in July, I might go for two days. Last week, I was going to go to the Northwest coast of Africa and surf but I just kind of didn’t have the time. Who is the next Kelly Slater? The next guy is a kid name Eli Hanneman from Maui, he’s 15 and he’s unbelievable.